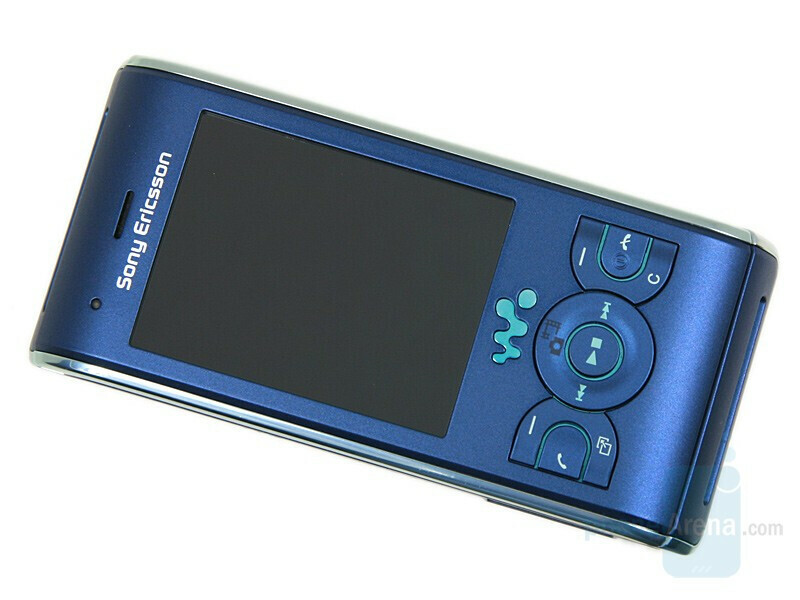 Sony Ericsson W580 is one of the most successful models from the Walkman series of the manufacturer. A proof for that are the multiple color versions it is offered in. Not long ago, its successor was announced. 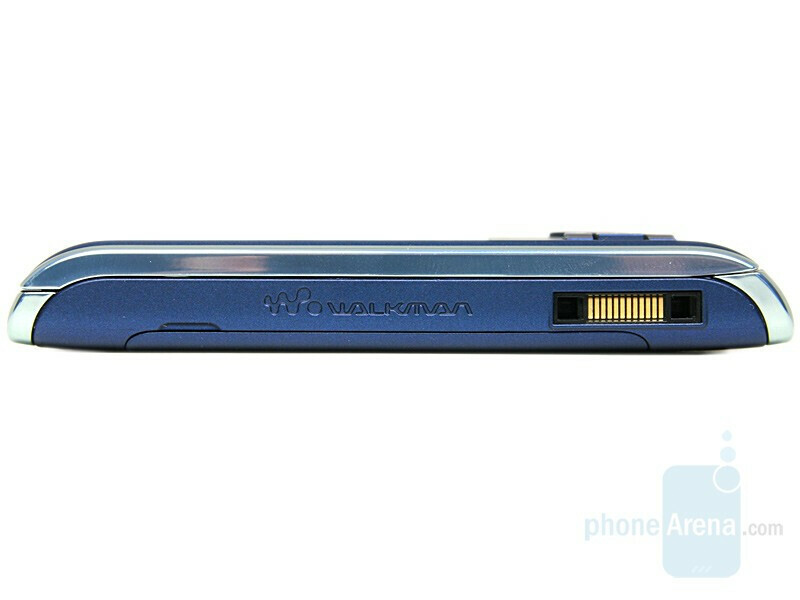 It supports 3G, the camera now offers more options and its resolution has increased, there are stereo speakers and the interesting “share jack”, which will be a part of the package. The share jack allows you to plug in two sets of headphones and listen to your favorite tunes with a friend. Currently, all versions (globally) of the phone are prototypes and that’s why we are previewing it instead of giving you an in depth review. For our full detailed testing, we always use only final versions of the product, to make sure the results are impartial. 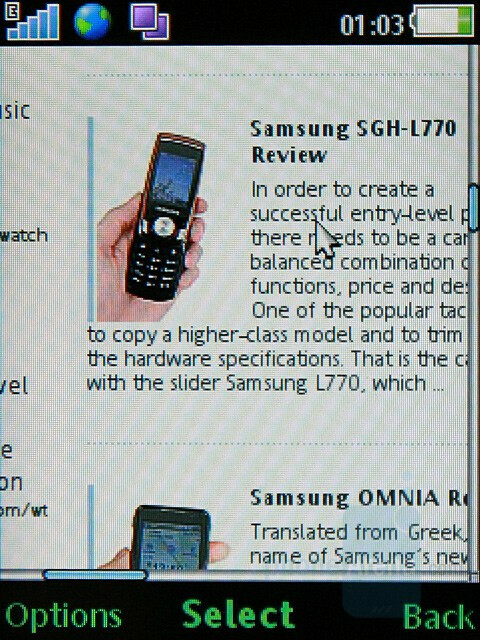 The phone’s appearance is quite nice and the gentle gradation of its shapes is notable. This makes it look monolith when closed. 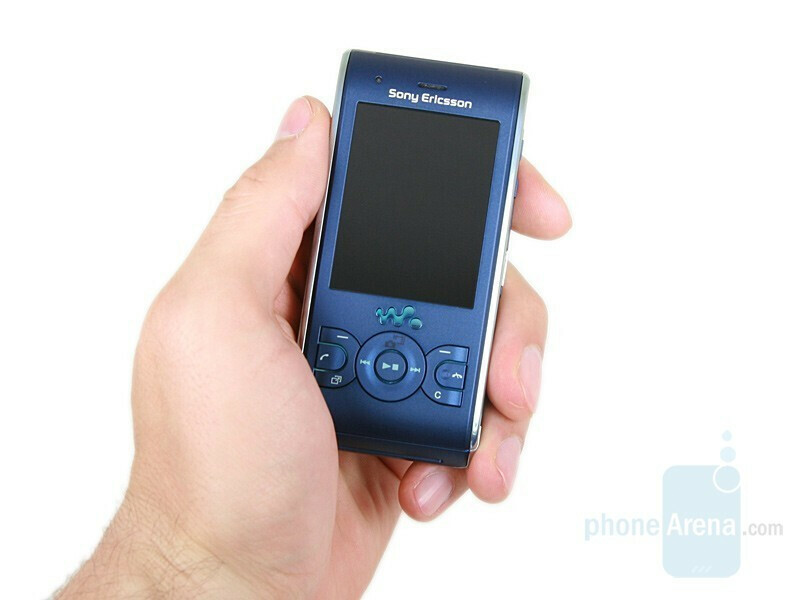 You can compare the Sony Ericsson W595 with many other phones using our Size Visualization tool. 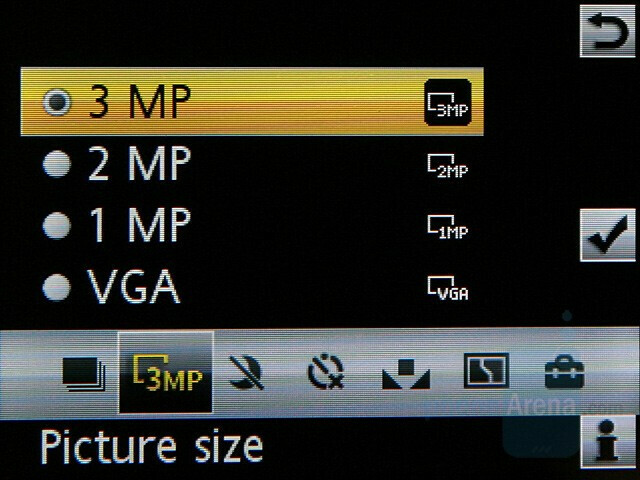 The 2.2-inch QVGA display supports 262k colors. 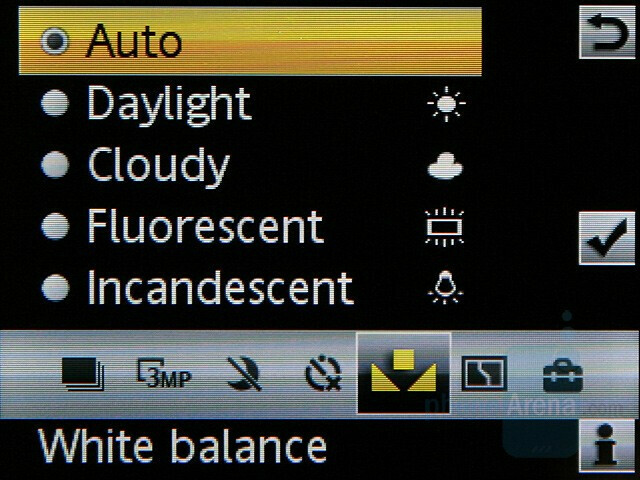 The miniature light sensor can be found over it. 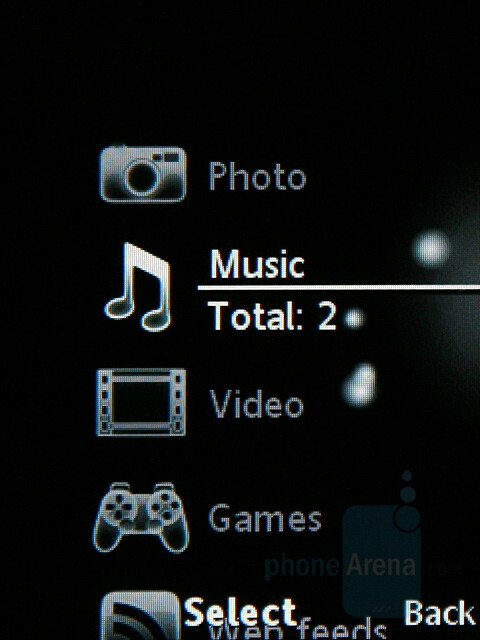 On the D-Pad, there are markings of the functions it has in the musical player as well as a camera shortcut. The keyboard has an interesting shape as if carved out. 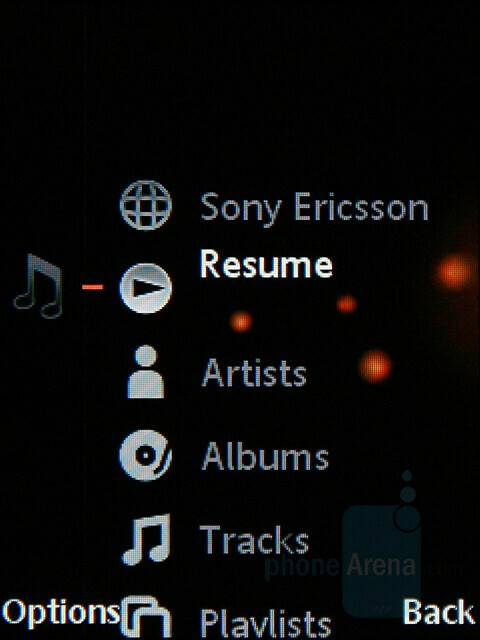 On the right side, we have the volume rocker and the Walkman player shortcut. The opposite side houses only the charger connector. 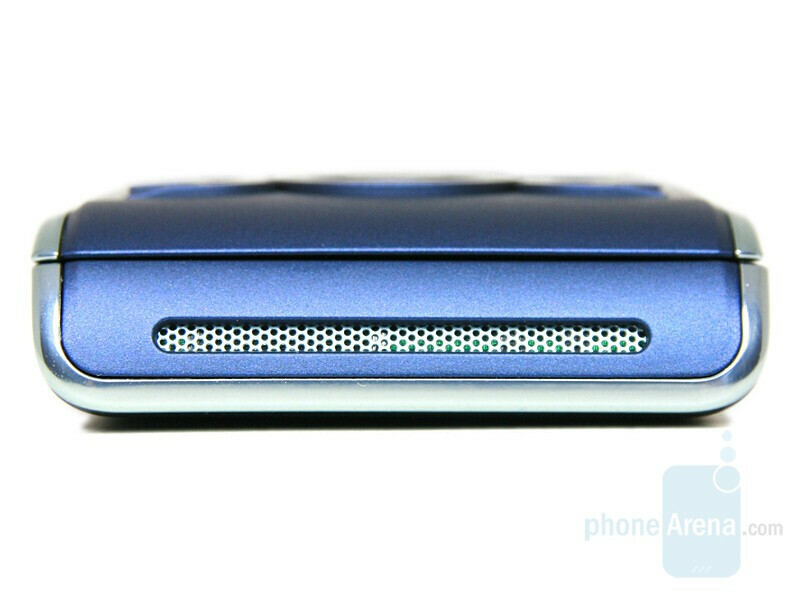 The speakers, which are supposed to produce loud enough music sound for you to enjoy, are located on the top and the bottom sides. 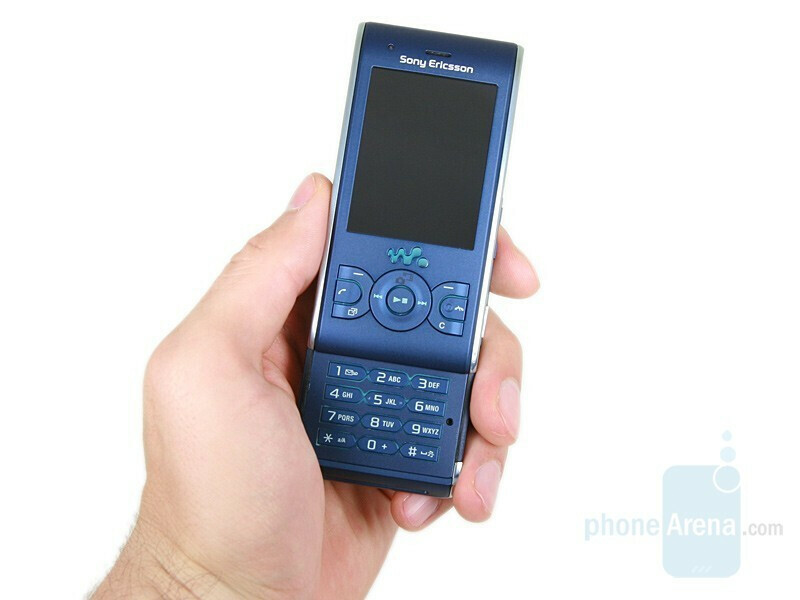 The only thing on the back is the 3.2-megapixel camera without flash. When the slider is open a beautiful pattern can be seen there similar to W580.Unfortunately, you have to remove the lid in order to get to the M2 card slot. 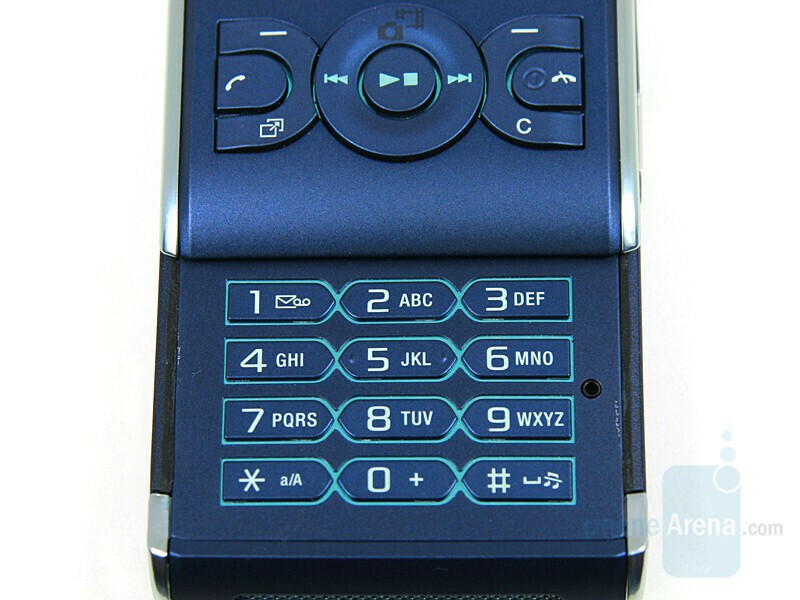 The phone is very attractive and if combined with joyful colors it could become a ladies’ favorite. So far the versions announced are blue, white, grey and black. The software is the latest offered by the company and is identical with the one of W902, announced at the same time. 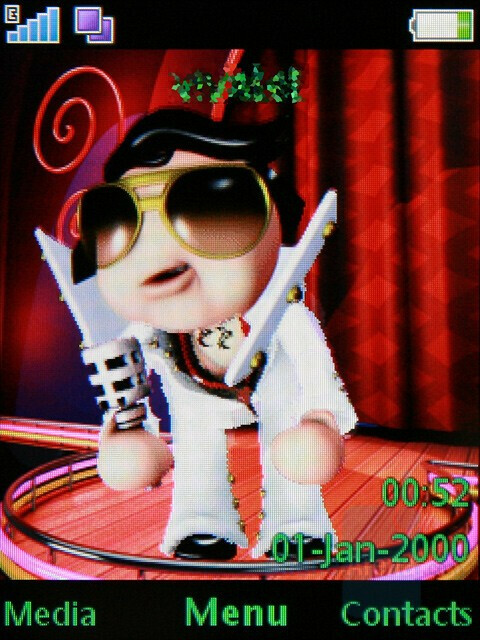 Thanks to one of the applications, you will be able to bring The King of Rock 'n' Roll to life on the homescreen by using the accelerometer. The other option available is to see how many steps you have made during the day, which is a quite interesting, especially if you are into sports. All multimedia features can be found in the flash menu we are familiar with and whose background does not change with the theme as it is in W902. 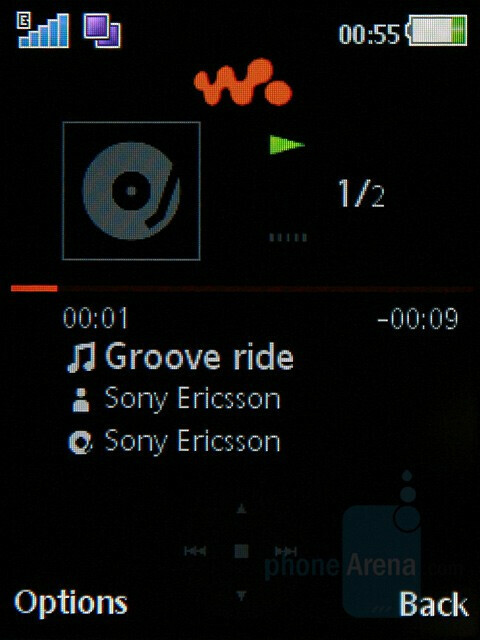 However the Walkman players both phones employ are the latest, third version of which can be controlled via the accelerometer. It also adds some extra options compared to previous models with the ShakeMe function. 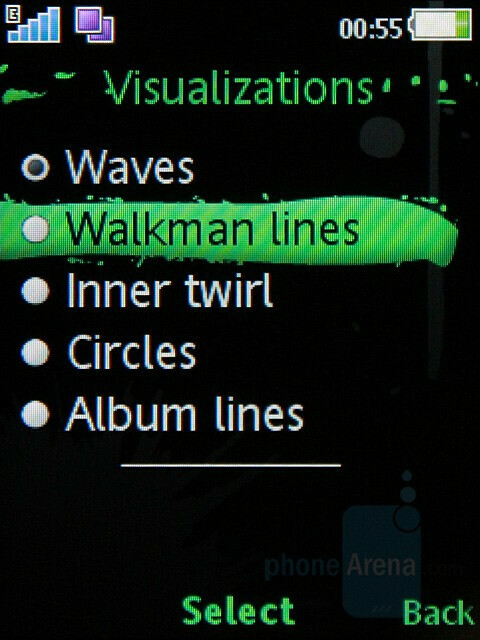 In contrast to them, besides for changing the current track, it can also be used to control the volume. To do that, you have to hold the Walkman button and tilt the phone towards or away from you. 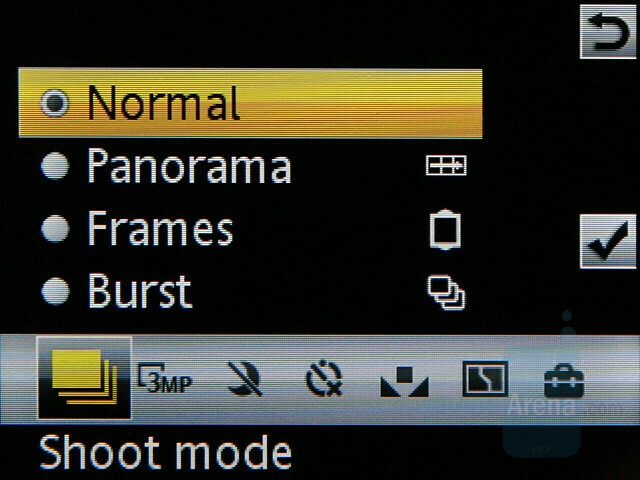 In contrast to W902, whose camera is equipped with all extras characteristics for the new cameraphones of the manufacturer, here, the interface is slightly simplified and is similar to the one seen in the Cyber-shot line. 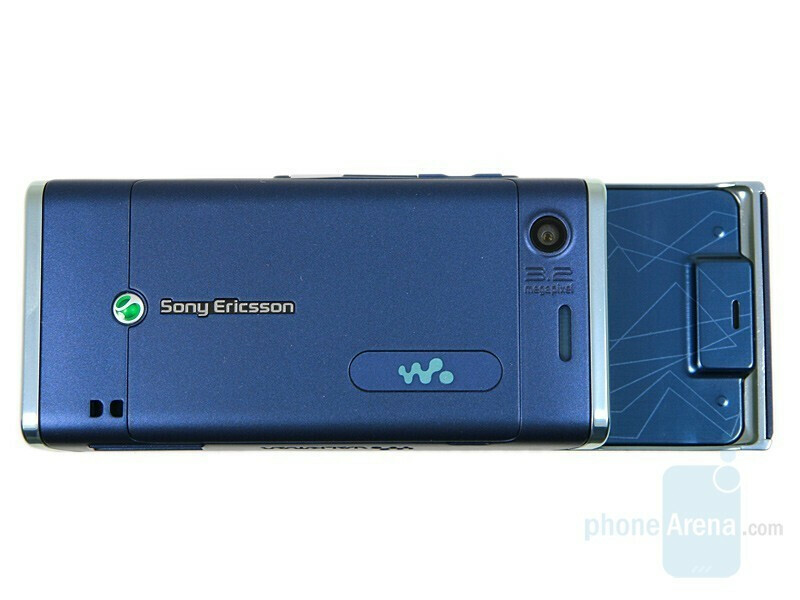 The picture geo-tagging is done in the same way as in the new top Walkman. 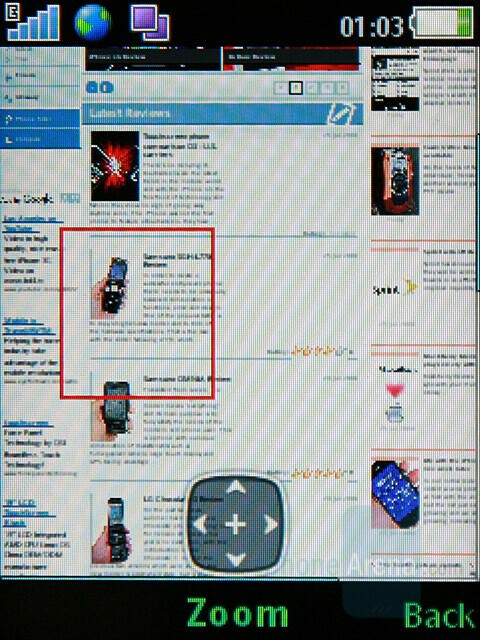 Since the phone doesn’t have a built-in GPS, for the purpose the information of the GSM cells is used. This of course is not the most precise way to do it but we think it’s good enough for picture tagging. 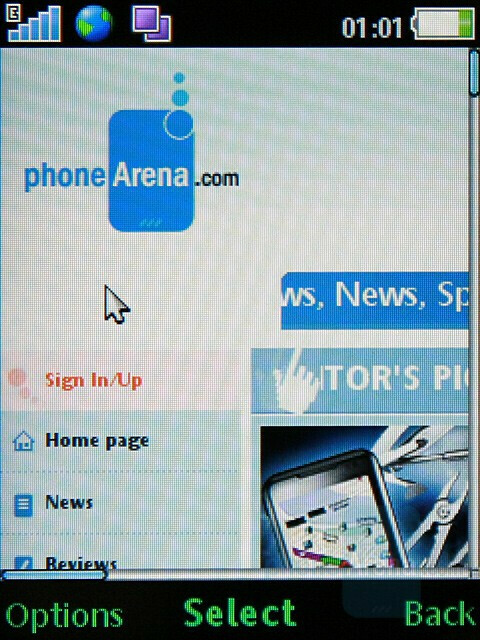 The Internet browser is also very promising, because it opens heavy pages without a problem and there is pan view as well, which greatly facilitates navigation. 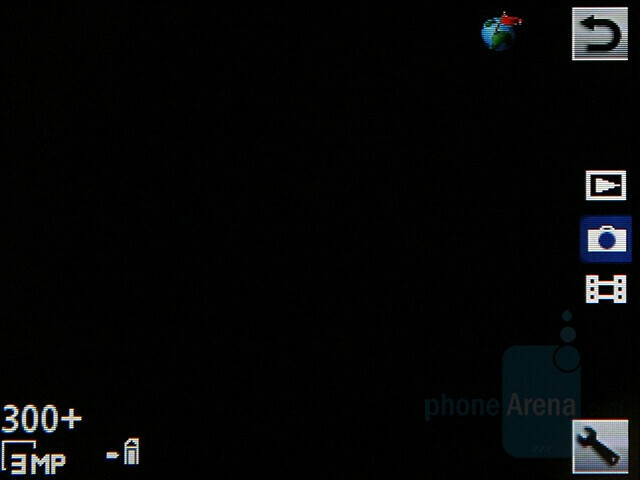 Thanks to the accelerometer, you can easily switch from portrait to landscape view. It is also used as a game control, which is quite entertaining. 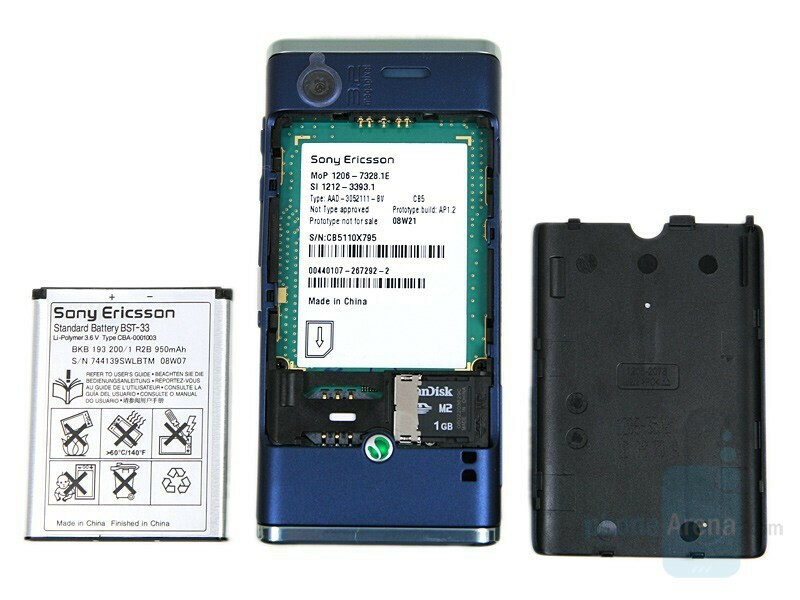 We are optimistic about Sony Ericsson W595, even though it doesn’t offer much more than W580. 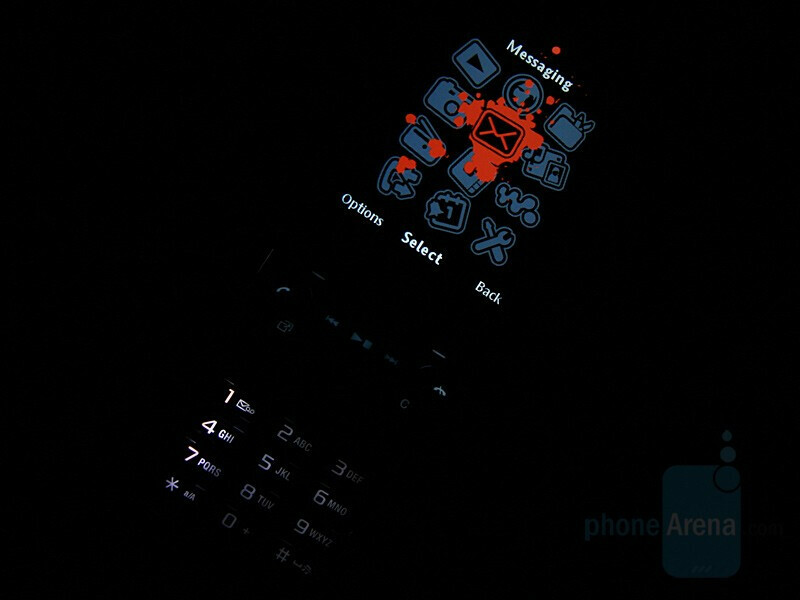 It still adds 3G support, updates the key features and works with the new interface. However, we think that the key feature which will help it repeat W580’s success is the attractive design.Expect our detail review when the beautiful slider comes out on the market. 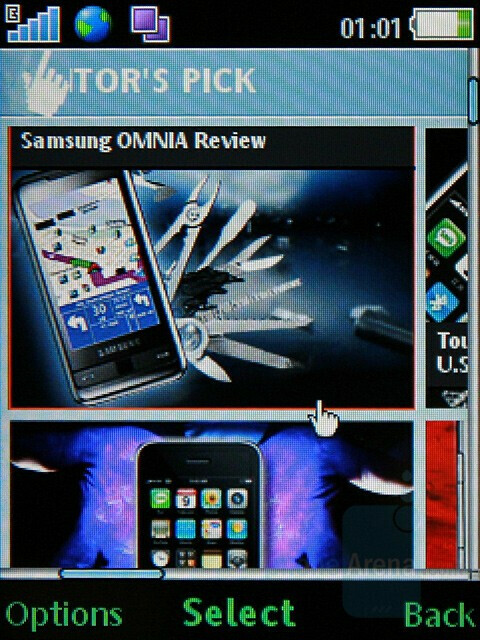 Phonearena is a very sexist and stereotypical website, huh? What's the price on this one? the price of the phone is around 14k in Hyderabad, India. 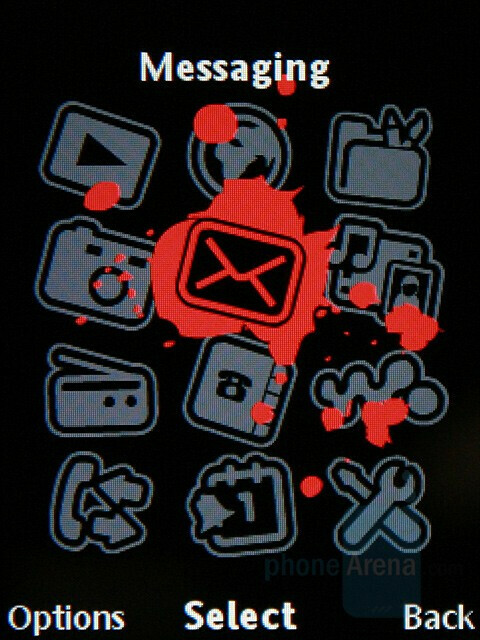 i have problem with my phone, when i start the camera the phone will be hanged . & i have already updated the phone software but still its not working ..please............. give me the solution for this.......!